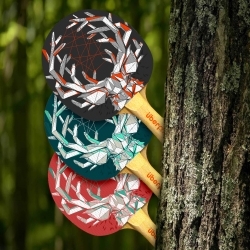 Dreamcatcher Illustration for Uberpong's latest line of designer ping pong paddles by Designer Mike Serafin. The Spinning Replicator by Arthur Sacek is a copy machine made out of littleBits and LEGO. 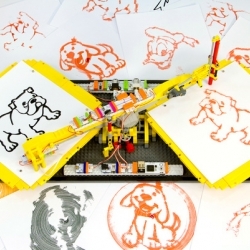 It can scan an illustration and draw a copy of it without any kind of programming, just littleBits, LEGO elements and a marker. 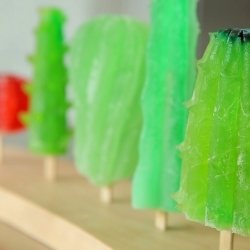 Dangerous Popsicles are a collection of weird shaped popsicles inspired by cacti and life-threatening viruses. What will happen when we put these dangerous things on one of our most sensitive organs, our tongues? Does pain really bring pleasure? 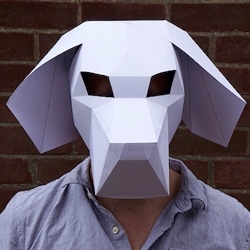 Designer Steve Wintercroft has created a series of brilliant 3d mask templates that can be easily assembled at home. 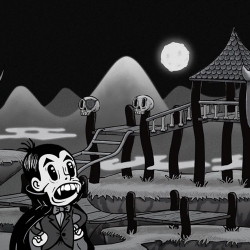 Trigger’s Monster Playground is an inspiring example of how to use parallax scrolling in a browser to tell a story. 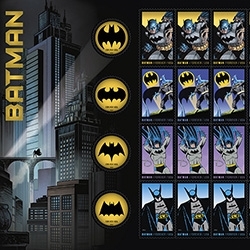 It’s short and sweet, with 10 Halloween Easter eggs to find. 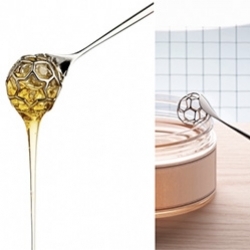 Alessi “acacia” honey dipper is part of the collection of “Objets-Bijoux”. 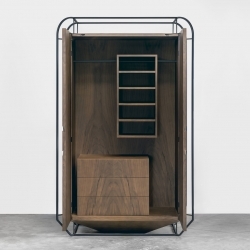 “acacia” is the result of research carried out by its designer, Miriam Mirri, into the sweet world of honey. 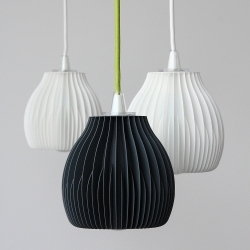 Lamp shades by Martin Zampik are inspired by visual appearance of heat-sinks visible for example on industrial lamps or nowadays on LED bulbs. 3D printed and designed to work with IKEA cord set SEKOND. 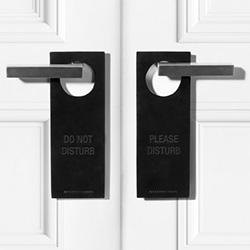 Alexander Wang Black Leather "Please Disturb" + "Do Not Disturb" door hangs. Tanner Goods Paper Series - Updated sketchbooks and notebooks made with some serious paper for ballpoint and felt tip. Also released are their leather notebook covers which can act as an impromptu wallet. Hello Tälja Wood Carving Kits - Creative meditation for human beings. From Sweden. 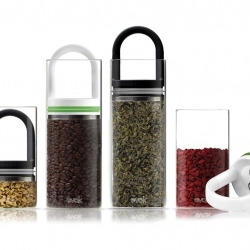 Prepara Evak Collection - Push the handle down into the glass container to automatically remove the air. Food-safe-glass and stainless contact your food. 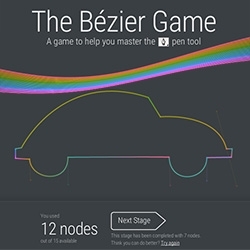 The Bézier Game - a game to help you master the pen tool. Amazing, maddening, addictive. 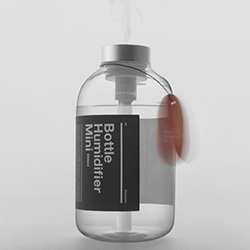 11+ Bottle Humidifier Mini with aluminum top and glass bottle. "Needing only USB for power, the humidifier is powerful enough to supply sufficient humidity for any personal space, whether it be the bedroom, office, or living room." 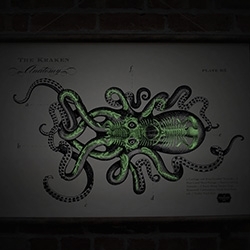 Kraken Rum Store has a new Kraken Anatomy Print (with wood top and bottom!) and... glow in the dark surprises at night! 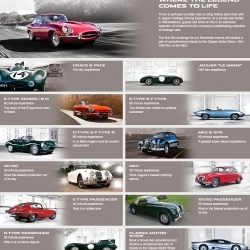 Jaguar Heritage Driving Experience gives you the chance to drive some of the brand’s most iconic models. 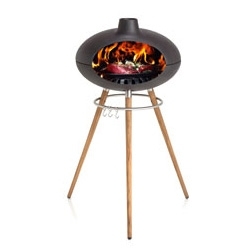 Morso Grill Forno - made from a solid enamelled cast iron on 3 teak legs held together with a stainless steel ring. 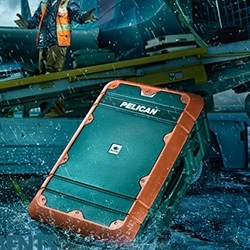 Pelican launches new Pelican ProGear watertight, crushproof, lightweight luggage. 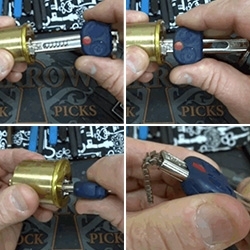 A curved lock with a flexible key... unpickable? 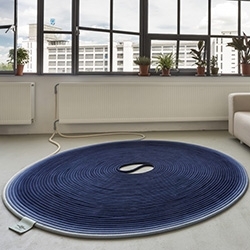 Studio Siem Fervent Carpet - Fervent is a carpet that can be heated to 60˚C once every two months, which kills the dust mites, allowing this group to use textiles where they could not before. Designer Grégoire de Lafforest examines the inner workings of structural exterior formats for his latest EXO series. 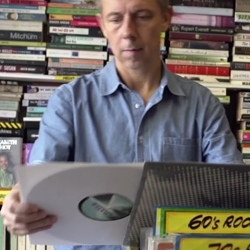 VIDEOAir NZ have partnered with BBC6 Music DJ Gilles Peterson to launch a new Trans-Atlantic online radio show, which will showcase the best of both Los Angeles and London’s thriving music scenes. 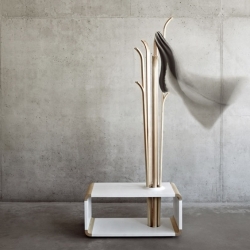 'Tilia' freestanding hanger that can be also used as a seating by designer Alicja Prussakowska. 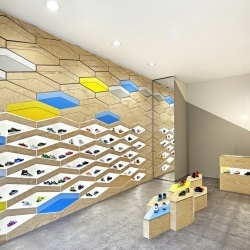 The Suppakids Sneaker Boutique in Stuttgart, Germany is home to a fine collection of kids footwear. Unique interior designed by ROK. 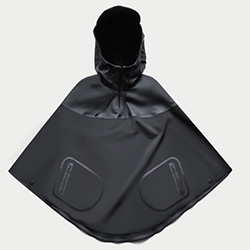 The Arrivals Women's Haring Poncho - Featuring a snap-back peak hood and laser-cut materials. 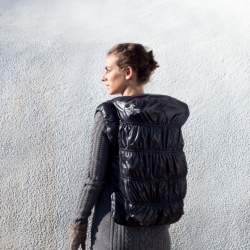 Built from weatherproof poly-spandex shell and rubberized Italian twill made waterproof through heat-welded seams. 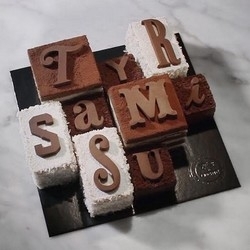 Parisian pastry chef Benoit Castel, collaboration with the famous Parisian graphic artist Tyrsa create the TYRSAMISU, graphic twist on the Italian tiramisu. 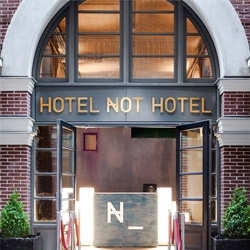 Hotel Not Hotel, Amsterdam, where each room is its own unique sanctuary, designed by Collaboration-O. 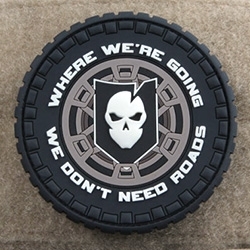 ITS (Imminent Threat Solutions) Tactical Overland PVC Velcro Patch - "Where we're going, we don't need roads"
Box Brew Kits - Brew like a boss. 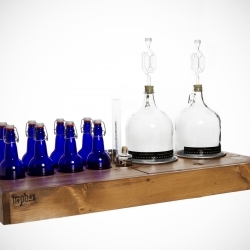 Handmade small-batch home-brew kits designed to make beer, wine or cider. Reclaimed wood available. 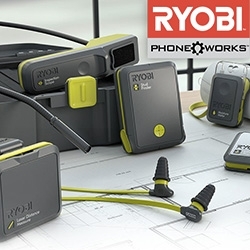 Don't hide your hardware. Stay Dry // Introducing a waterproof cotton fabric and taped waterproof seams intended to help protect the items carried inside. It also fits up to men's size 13 shoes. 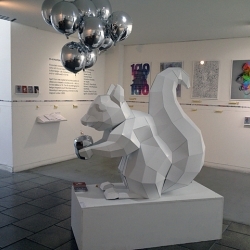 London-based graphic art label and online boutique — Stereohype 2004-2014: 10 years, 1,000 button badges, over 300 contributors, 1 exhibition (open until 31 October), 10 specially commissioned posters, 1 party squirrel, 1 exhibition catalogue. 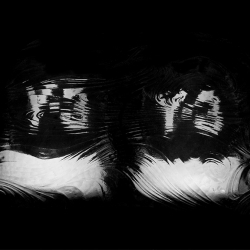 VIDEOCata Sopros is an interactive sound installation. 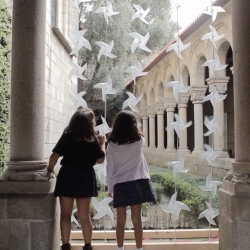 A collective musical instrument made from paper windmills that transform the users’ breath into sounds. 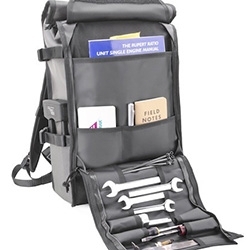 Chrome Industries Motor Barrage Bag - The tool panel is a great detail! 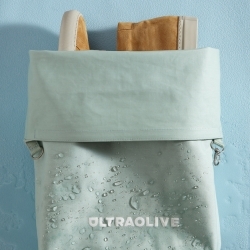 It is a 100% welded-waterproof HD ballistic nylon rolltop with military grade 18 oz. truck tarpaulin floating bucket liner. 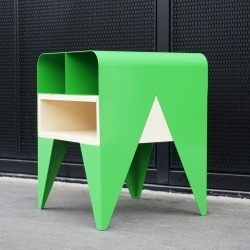 FROG - Furniture storage / bedside, by french designer Nicolas Abdelkader. 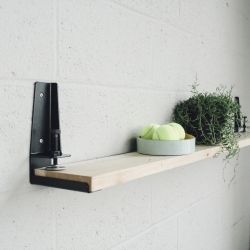 The Floyd Shelf is a tool that allows you to create a shelf from a flat surface by clamping to it. Like The Floyd Leg, the shelf is produced in Detroit. 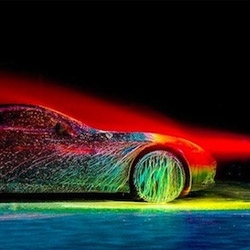 Watch Artist and Photographer Fabian Oefner Cover the 2015 Ferrari California T in Glowing Paint. 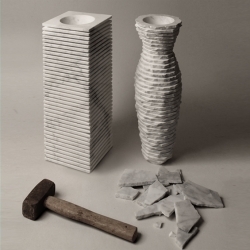 'Introverso 2' marble vase 'to destroy' by Italian designers Paolo Ulian & Moreno Ratti. 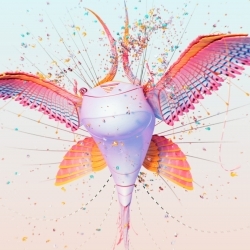 FutureDeluxe teamed up with Twistedpoly to help them bring to life the first of their five launch films to mark their 5th birthday. Climb aboard as they journey through a colour filled psychedelic world inhabited by futuristic critters. EYE by OOG Den Bosch consists of 5 enormous eyes hanging from different buildings in the city. 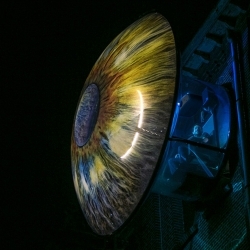 Each EYE seats one visitor at a time, hanging inside the installation outside a building. 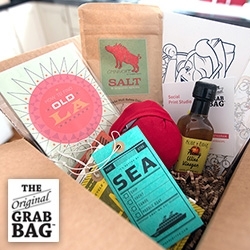 FEATUREDThe Original Grab Bag - you just don't know what you're going to get, so peek at what they curated for NOTCOT! 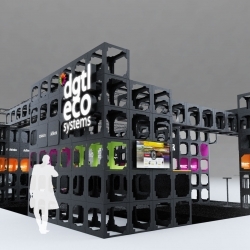 So many great products, experiences, and deliciousness! 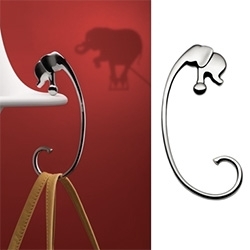 French Flair Audio - When professional audio meets design and architecture. 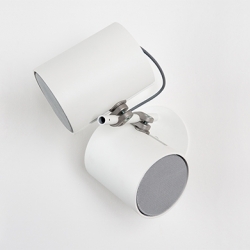 A new french company offers innovative and classy speakers. 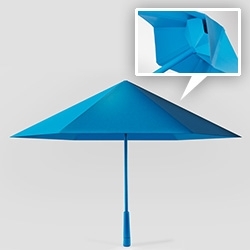 The SA umbrella by Justin Nagelberg for Nooka loses the traditional skeleton and mesh umbrella structure, for a much more modern and efficient design. 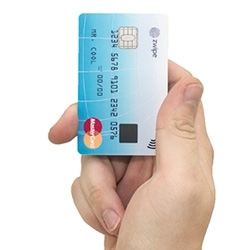 Currently on Kickstarter. 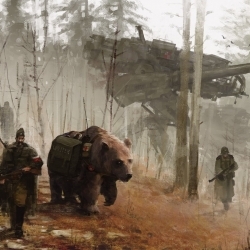 Jaw dropping series of artwork from artist Jakub Rozalski. The dystopian future, in a mesmerizing way. 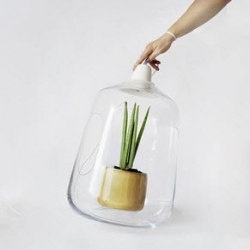 Milo from Lightovo, a lamp for your potted plants.